You play pingpong. Kai Zhang plays table tennis. And wins. A lot. ​By the time he started his freshman year at Binghamton University, Kai Zhang had been the subject of scrutiny, speculation and a story in The New Yorker. He is a table tennis phenom who started playing at age 6 in Beijing, China. At 15, he moved — by himself — to the United States to pursue greater opportunities for both his sport and his education. His guardian is Will Shortz, a man who has not missed a day playing table tennis in more than five years. And yes, he’s that Will Shortz: NPR puzzle master and New York Times crossword editor. Puzzled About the Will Shortz Connection? Shortz owns the Westchester Table Tennis Center in Pleasantville, N.Y. No matter where he is, he plays every day. March 26 marked his 2,000th consecutive day of playing for at least 10 minutes. When Shortz traveled to Beijing for a Sudoku championship, he was put in touch with Zhang’s family through a mutual friend — because Shortz needed to play table tennis to keep his streak alive. Zhang arrived in 2012, at age 15. Shortz couldn’t find a host family, so he took him in. Zhang was tapped to become a table tennis player when he was 6 years old. By age 11, he was on a professional team, training eight hours a day. School essentially stopped. “In China, if you play sports, you can make it into a career,” he says, but there were limitations. “It’s really complicated in China — there are politics involved in sports, and you don’t have many chances to compete in national tournaments. I felt like the only thing I knew was table tennis — so if I came to the United States, maybe I could learn something else and have a more rounded life. But it will all come down to timing, he says. He needs to become a U.S. citizen in time for the Olympic trials, and then take time off from school to train. “I love to work with people and talk to people. I’m pretty open. I love to travel. I think business is my best fit,” he says. At Binghamton he likes taking lots of classes and having friends from all over the world. “Here I can find more students with similar experiences as me. I feel more connected,” he says. The downside is that training is more difficult. To keep fit, he goes to the gym. 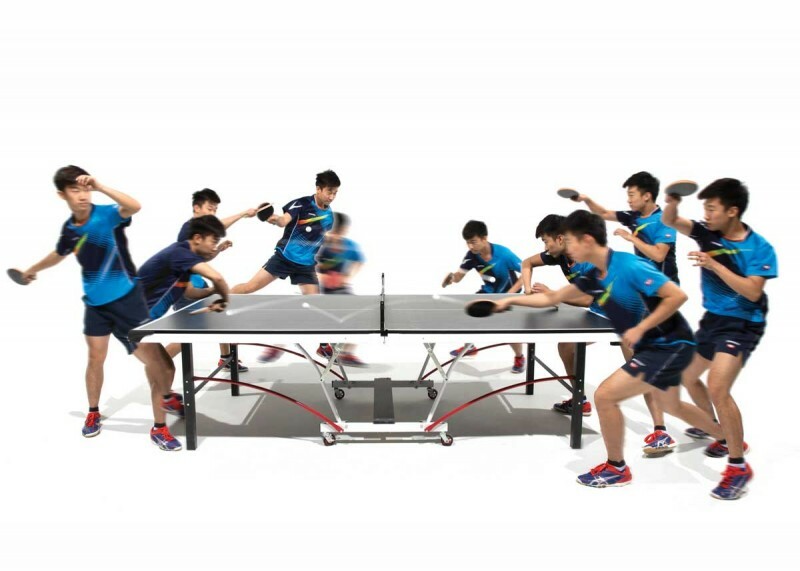 “Table tennis is a brain game — a puzzle — sort of like a crossword puzzle. You have to find a strategy and use what you know in the game. Also, you have to watch your opponent’s strategy and find a way to beat that,” Zhang says. “Of course, Kai is an extremely talented player,” Shortz says. “But the special quality he has is toughness. In tight matches, when other players tense up or lose their concentration, Kai stays focused and continues to play absolutely fiercely. He doesn’t know what it means to let up. “That’s a good quality to have for both table tennis and life,” Shortz says.